If you’re lucky enough to have longtime friends even as an adult, then you know probably already know how much it means to be able to spend time together. Maybe you even have a dream to retire together and sit on each other’s porches with your families, sharing stories from the good old days. That’s exactly what four Texas couples had in mind when they decided that living in the same town just wasn’t enough. 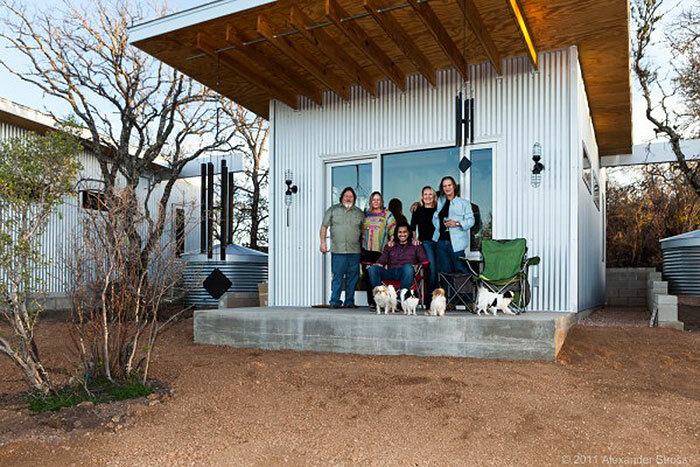 They’ve been best friends for over 20 years, and they weren’t about to let life separate them, so they decided to literally build a “Bestie Row.” Being fans of the tiny house movement, they built a compound of small, functional homes all in a row. Architect Matt Garcia was enlisted to help make the dream a reality. 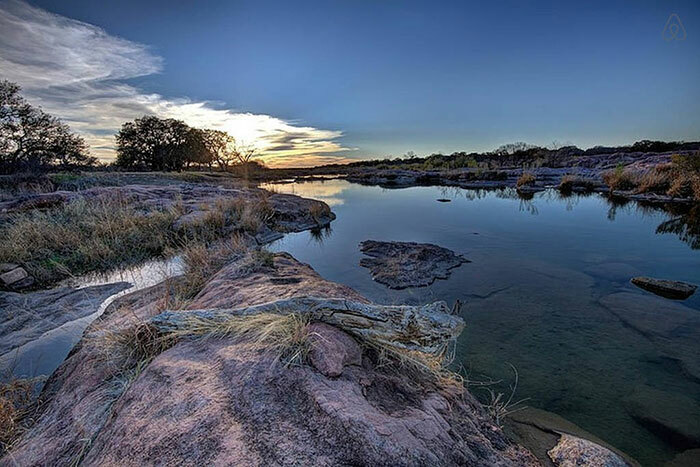 The couples purchased land along the Llano River, right on the outskirts of Austin, Texas. Initially, they were thinking of just making one huge house, but they decided a little personal space is always good, even for best friends. But that’s not to say they didn’t want to be together either, so they also built a 1,500-square-foot community building with a kitchen, dining room, and guest and activity space. 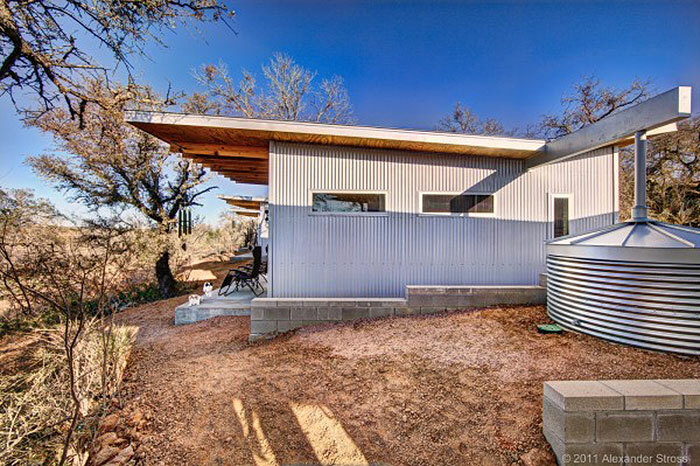 The individual houses are all 400 square feet and cost around $40,000 each. 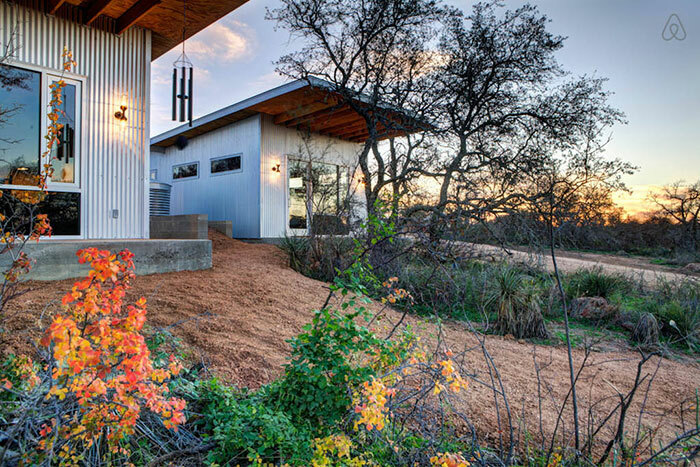 They dubbed the community the “Llano Exit Strategy” and designed it to withstand the harsh Texas climate. Every building was designed with sustainability and environmental impact in mind. Article courtesy of Blam News. We love this creative idea! What do you think? Would you ever consider building your own “bestie row” with your friends? 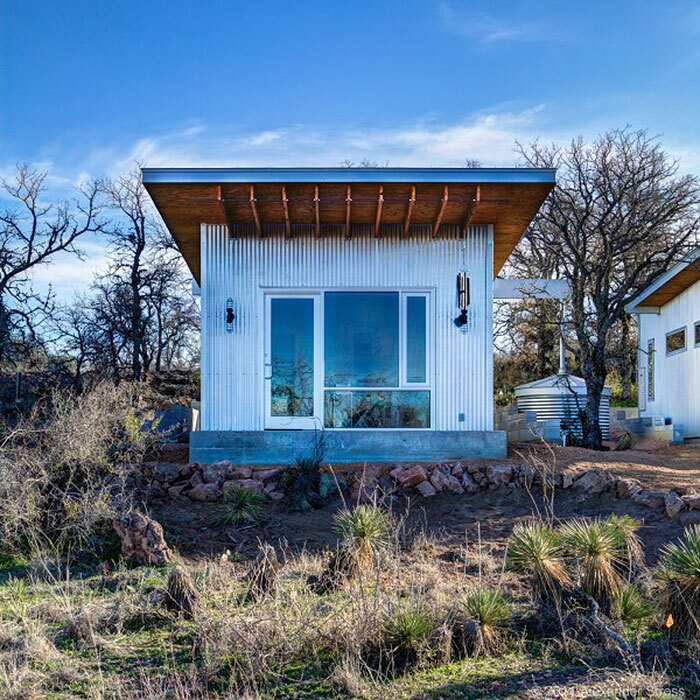 Could you live in a tiny house with your friends or family? Share your comments with us in the section below! Interested in learning more about local real estate? Contact our friends at MN Realty Guide to talk to a realtor in your area. MN Realty Guide has been serving the Twin Cities metro for decades. Whether you’re in the market for a tiny house or a mega-mansion, they’ll be available to help! 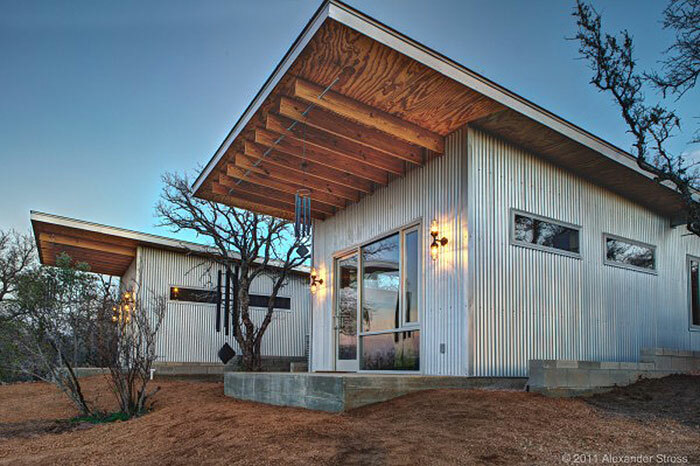 The post Lifelong Friends Build “Bestie Row” of Tiny Houses appeared first on MN Home Living.